Last week, elementary students in Magalia got a special visit from Superintendent Tim Taylor. Taylor, his executive assistant Mia Osborne-Ng and student education intern Arianna Sells. 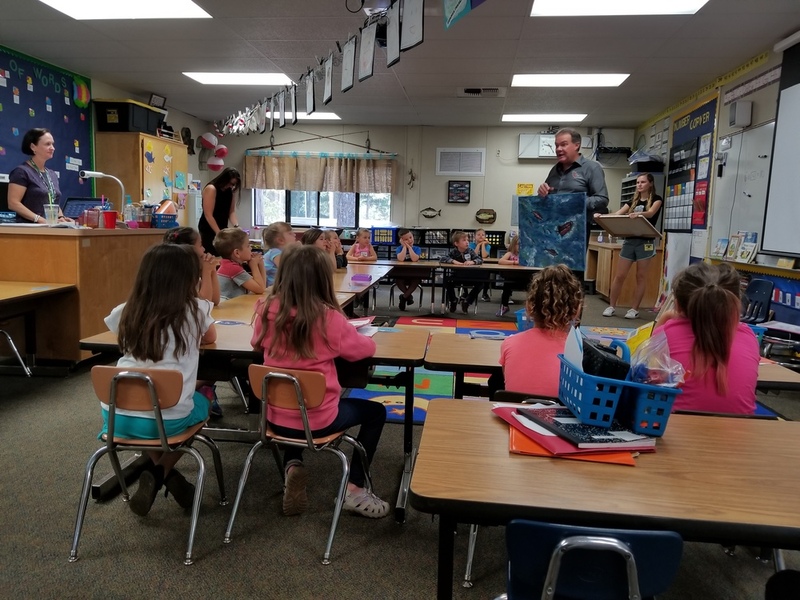 The Butte County Office of Education (BCOE) team stopped by Sara Schmid’s classroom to engage students in the world of art, and to talk about how painting can help express emotions. In addition to sharing some of his paintings, Superintendent Taylor took the students on an imaginary, short-story journey. Sells also shared some of her artwork with the students. 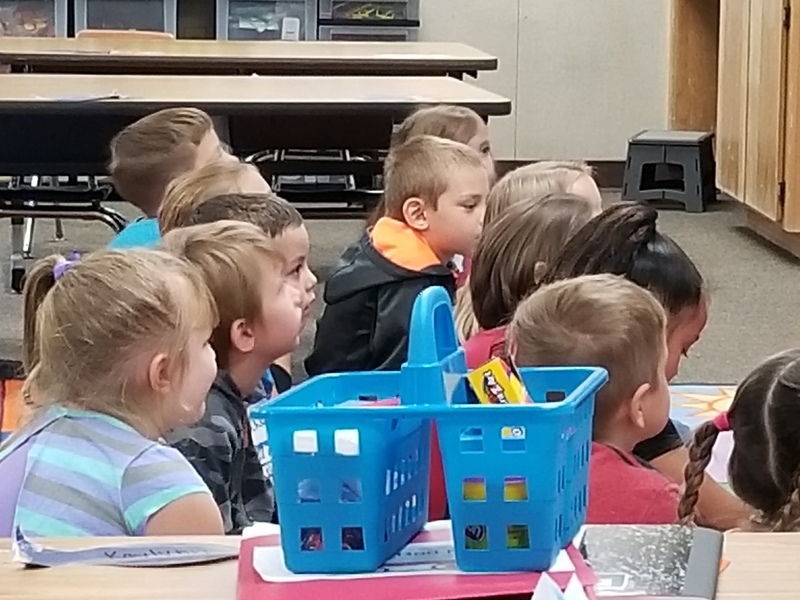 Cedarwood Elementary students were really excited to have visitors, and Superintendent Taylor let the class know that BCOE’s mascot, Chewy, would be visiting them the next day! Students listening as Tim Taylor talks about artwork.